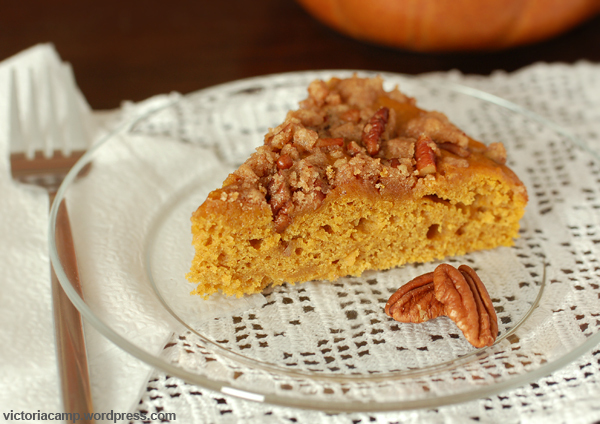 I love pumpkin! (Unless it’s in pie, that is.) 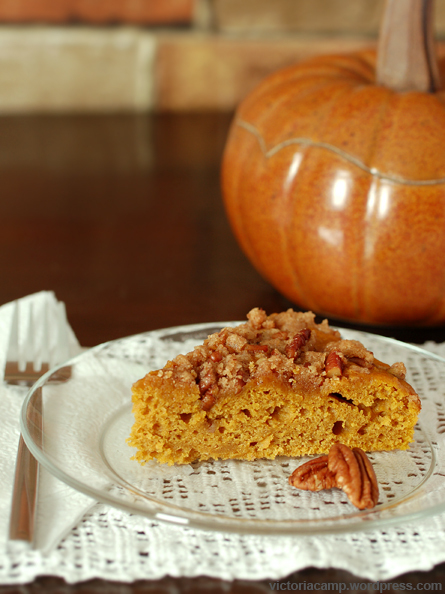 Pumpkin whoopie pies, pumpkin muffins, pumpkin cheesecake, and even pumpkin marshmallows, but pumpkin pie? Blech. No thanks. You can keep it! 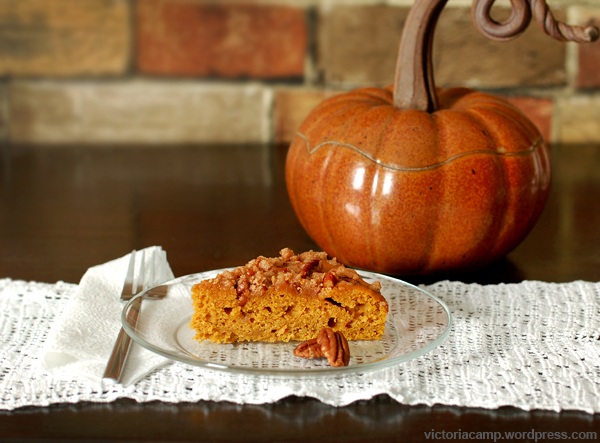 Once July rolls around, I start thinking about fall, and pumpkin recipes. I saved this one on Pinterest a while ago, and have already made it twice this season. Actually, the first time was probably in July. Or maybe August. Either way, Fall was not on most people’s minds, but I needed a pumpkin fix. The recipe was amazing, and we ate the entire thing before I had time to take a few photos. 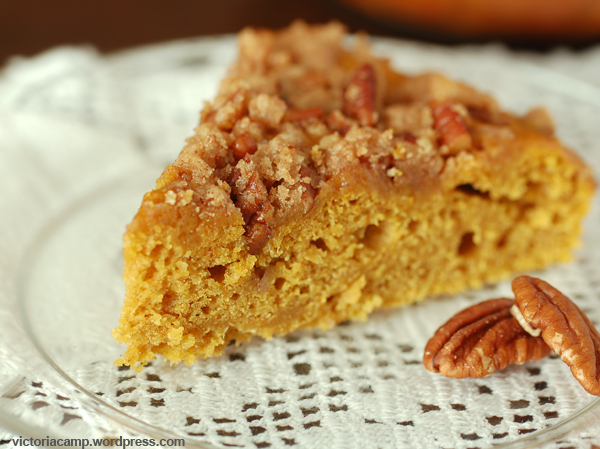 Naturally, I wanted this recipe documented here, so what better excuse to make it yet again? Honestly, this recipe is super easy. I make a half batch, which fills up a single 8 or 9-inch cake pan. Plenty for two people. Or more, if you like sharing. Onto the recipe! I originally found it posted on the blog Not So Humble Pie, who made theirs with a icing glaze. 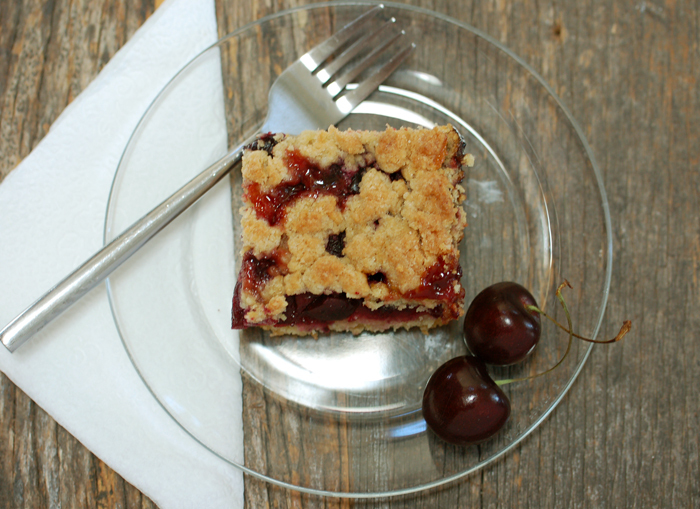 *As also mentioned, I made half of this recipe, in an 8-inch cake pan. (Or maybe it was 9-inches? I can’t remember offhand.) I baked it for 30 minutes. 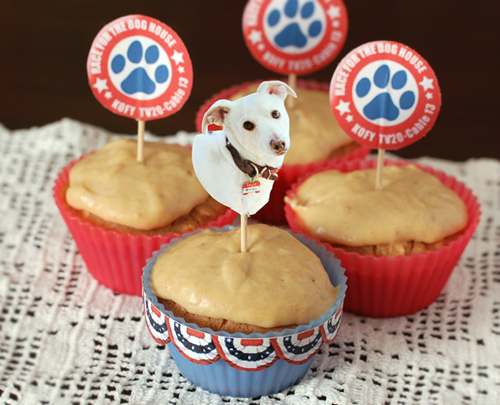 Banana Oat Dog Cupcakes – Butters on the KOFY TV Dog Election Campaign Trail! I’m not entirely sure how I’ve managed to maintain this blog for over a year and never mention our pup, Butters, given that he’s a constant source of entertainment around our home! Butters was a foster dog that we adopted in the summer of 2008; to our best guess, a Jack Russell Terrier/Dachshund mix…and quite possibly the sweetest dog I’ve ever known. 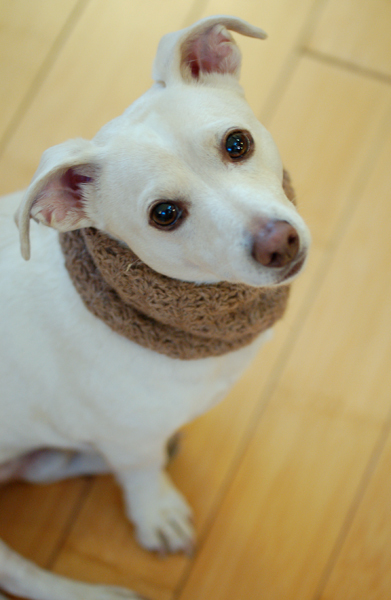 Butters – whether he is aware or not – is entered into a “Dog Mayor Election” hosted by our local tv station, KOFY TV. KOFY considers themselves a dog-friendly station; they have “Dog IDs” that they air during commercial breaks.. short clips of dogs sitting in a studio set that looks like a living room..with a blurb at the bottom displaying the name of the dog, and what city they live in. When I saw that they were having a dog election, obviously I had to enter Butters! Each dog at the audition had their Dog ID filmed for television as well, so regardless of who wins, we can still see Butters on tv at some point! 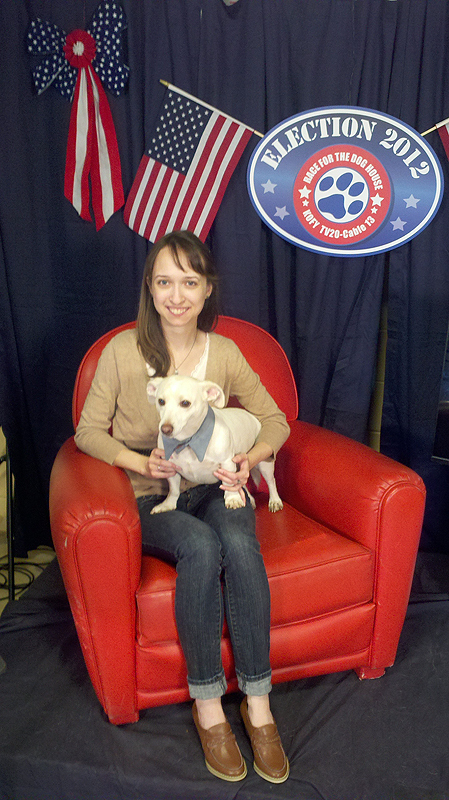 Butters and I on the KOFY TV Election set! 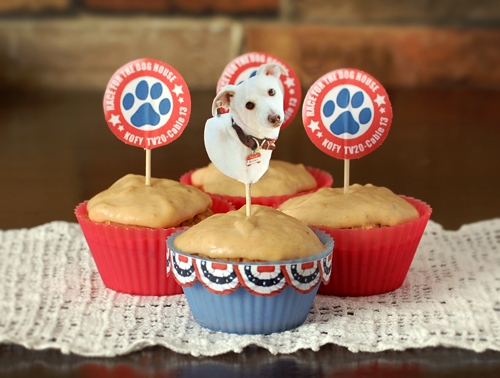 In the spirit of the dog election, I made some “campaign” photos! 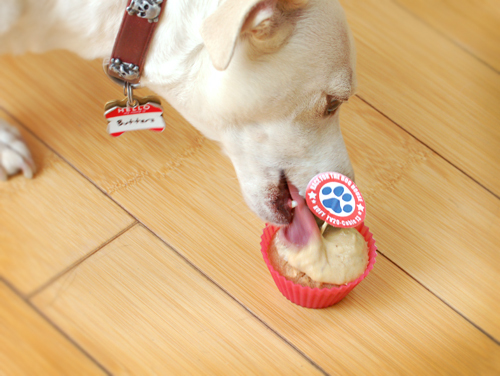 Since Butters has been such a good sport, I decided to make him some dog-friendly cupcakes just for him! .. it was inevitable.. he crashed my photo shoot! Post-photo, I took out the decoration and removed the wrapper for him, so he could dig in. 1 Preheat oven to 350°F In a bowl combine water, bananas, vanilla, egg and honey. Then add whole wheat flour and baking powder. Mix well. 2 Pour mixture into a 8-inch cake pan sprayed with a nonstick spray. 3 Bake for 1 hour to 1 hour 15 minutes or until toothpick inserted in center comes out dry. If you’re a vegan or vegetarian, you may want to skip this post. If not, allow me to introduce you to my latest cupcake creation..
I’d never made any of the components of this recipe before, but I had high hopes that were not disappointed. I started with the cupcake recipe… admittedly, I found this recipe because we had run out of white sugar and I still wanted a cupcake. 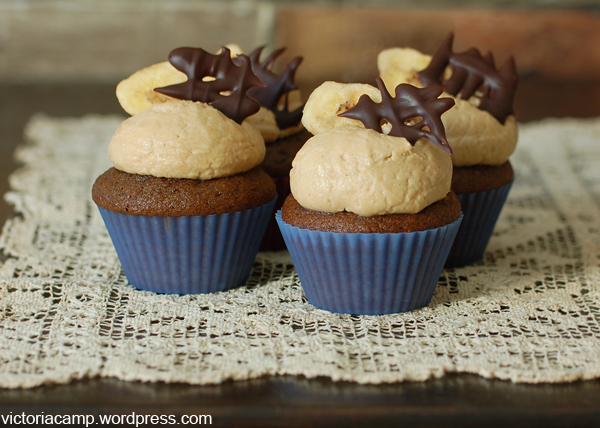 In typical cupcake-baking fashion, my mind and hands started to meander through the cupboards in search of what else I could combine them with. I had originally been thinking about candied nuts, but we didn’t have walnuts or pecans and I didn’t think peanuts would be a good match. That’s when the light bulb went off – we had bacon! And maple syrup! The decision was clearly made. I had no idea how to make candied bacon, but was pleasantly surprised at how ridiculously simple it was. I didn’t bother looking for a recipe for the maple syrup frosting, since I didn’t have enough powdered sugar to make a full batch anyway. You can’t really tell from the pictures, but it was sort of a cross between a maple glaze and a maple frosting. I would have preferred a typical fluffy frosting, but the taste and consistency was enough to satisfy the sugar craving. 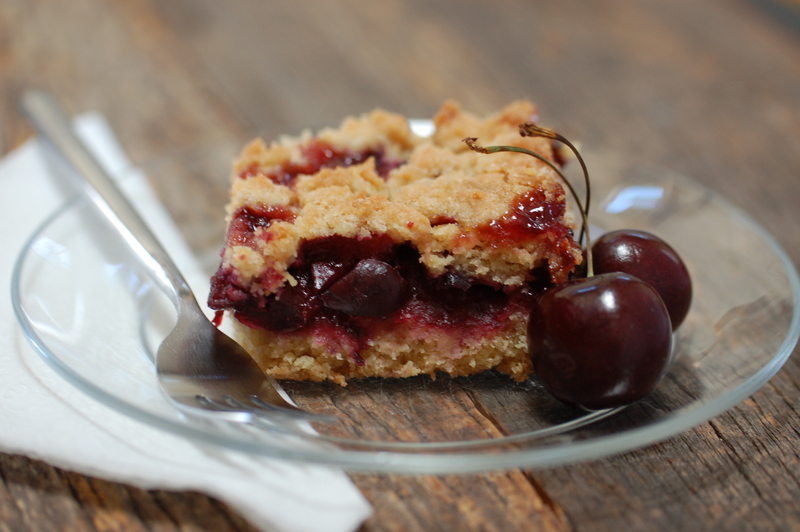 Okay, I know you’re just scrolling on through for the recipes, so here you go! 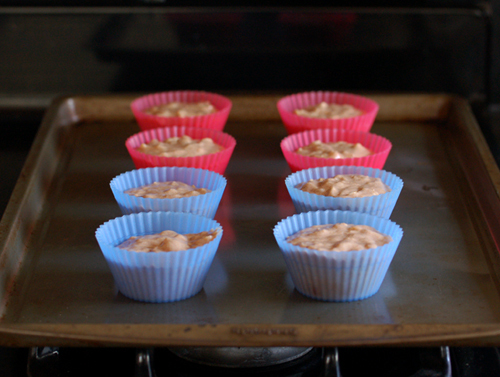 For the cupcakes, I used half of the original recipe, which made 6 perfect cupcakes. (I use silicone liners.) I also replaced equal amounts of butter with vegetable oil instead. (So in my case, I used 1/4 Cup vegetable oil.) The cupcakes turned out really moist and delicious, so I can’t vouch for changes in flavor/texture if you use the butter. 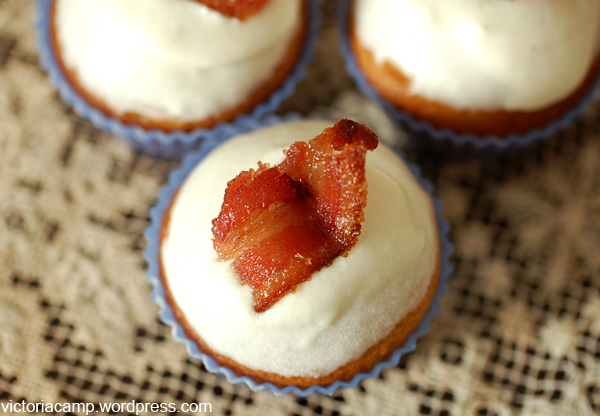 I’ve been using oil in my cakes/cupcakes since I prefer cupcakes a little less dry. You’ll notice this recipe has no white sugar. 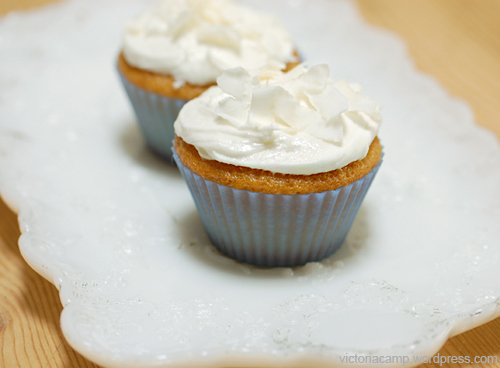 I really liked the flavor of these.. they weren’t overly sweet at all, so don’t be afraid of piling on the frosting! 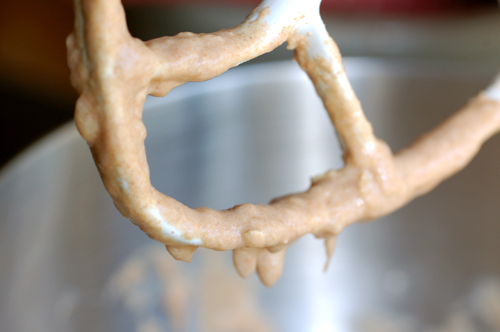 Using a 1/4 cup measure, add batter to liners. 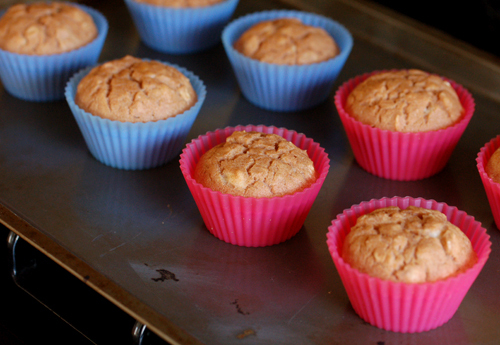 Bake for 16-19 minutes, or until tops are puffy and golden, and don’t jiggle when touched. (Mine were perfect at 19 minutes! Golden brown with a nice dome.) Let cool completely. Frosting… umm.. no recipe, sorry! I would advise using your favorite vanilla frosting recipe and adding in maple syrup until you’ve reached your desired flavor and consistency. For my 6 cupcakes, I used 2 TB softened butter, 1/2 tsp vanilla extract, 1 C powdered sugar, a splash of milk and oh.. about.. 2-3 TB of maple syrup. I needed another 1 C powdered sugar and another splash of milk to get my normal frosting fluffiness, but ran out of sugar, as mentioned above. Honestly, you could make a maple glaze for these and it would still be delicious, or you could make a traditional frosting with the added maple syrup. 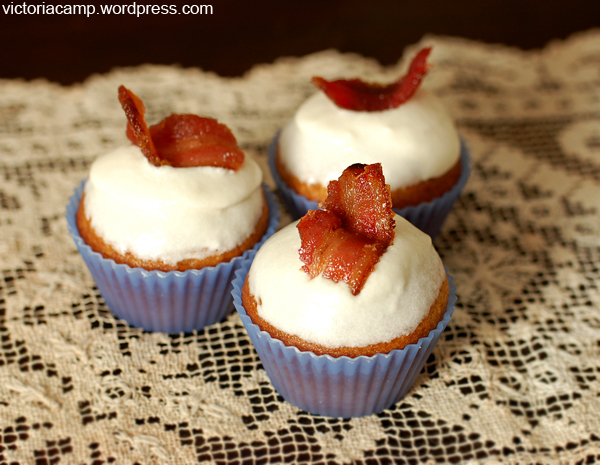 Candied Bacon.. this one is super easy! I used a thick cut applewood smoked bacon, which needed a little extra cooking time. Set the timer for a shorter amount of time than you think these will need, and check on them frequently – you don’t want the sugar to burn and in turn burn your bacon! 3. Prepare your baking sheet – cover it with aluminum foil, and place a wire rack on top. Spray the wire rack with non-stick spray. I used thick cut bacon with my oven at 350-F for 25 minutes. I probably could have put them in another 5 minutes before they burned, but it smelled too good to wait! Every once in a while I get an overwhelming urge to bake something. Usually that something involves frosting. (What can I say? I was a child who’d eat the frosted top half of the cupcake and discard the cake-only bottom half!) When the urge hits, my brain goes in a million different directions contemplating what I should make and what to put in it.. the downside is that we usually do not have all of the ingredients needed to make whatever it is I want first. A problem, you say? Of course not! This is when I begin to haphazardly “forage” through the cupboards for undiscovered goodies. I find all kinds of random food items that I’d completely forgotten we had and use them as a basis for the recipe. Last night was indeed one of those times, and a particularly indecisive one at that. What did I want? Well, cupcakes.. I knew that for sure. But what kind? Hmm.. [opens up the baking cupboard].. chocolate chip with vanilla frosting? [keeps digging through bags from the bulk bin] .. Chocolate with candied ginger? [pulls out mystery bag] Oh.. what’s this? Banana chips! Oh, definitely using the banana chips! Okay, so it was decided. 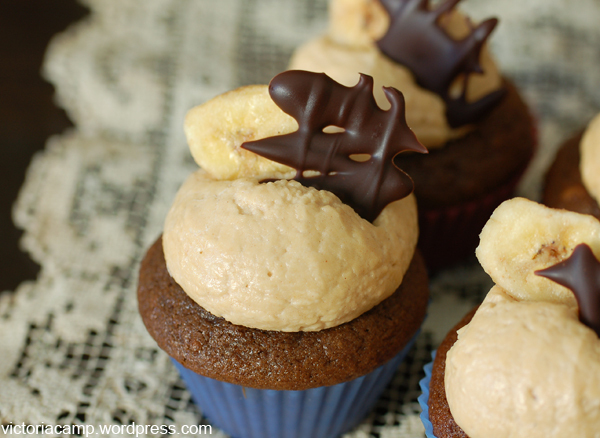 Chocolate cupcakes with peanut butter frosting, topped with banana chips. I had one problem: We didn’t have any cocoa powder. 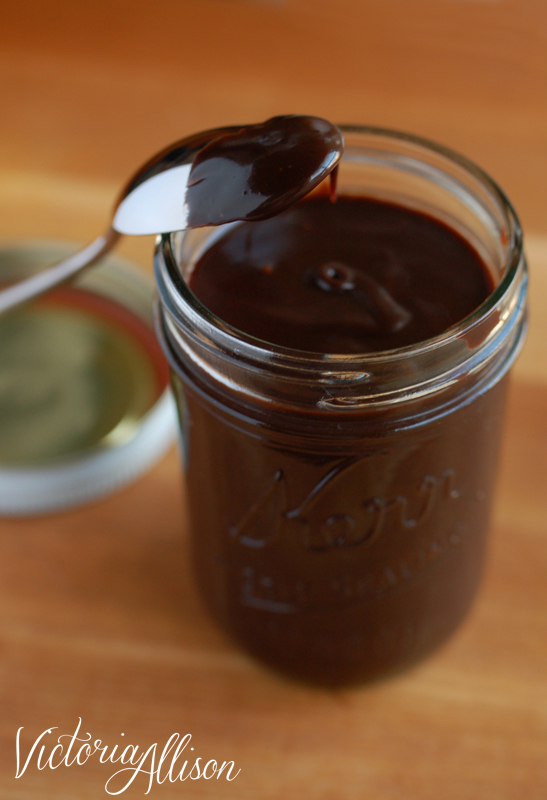 I turned to the good ‘ol Google search to find out if I could use melted chocolate chips instead, and the general consensus was “maybe.” I decided to just try it and go for it – nothing ventured, nothing gained, right? I started with the basic vanilla cake recipe and modified it by adding 2 oz. of melted Ghirardelli 60% cocoa chocolate chips, and a half of a mashed banana. 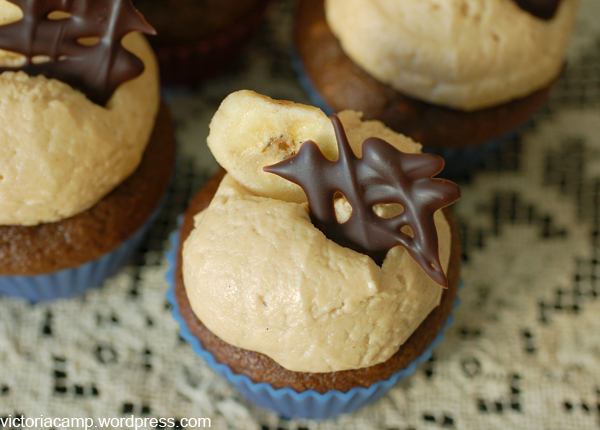 Overall, I would say these needed more chocolate, and maaaybe a little more banana. I can’t decide if I liked the light taste of the banana and just needed wanted more chocolate (because really, who doesn’t?) or if the sugary sweet frosting was just a little too overpowering compared to the cake part. I’m not sure. It’s still a toss up. I suppose cocoa powder would have added a more intense chocolate flavor, but then I would decidedly need to add more banana. Either way, they still tasted delicious! 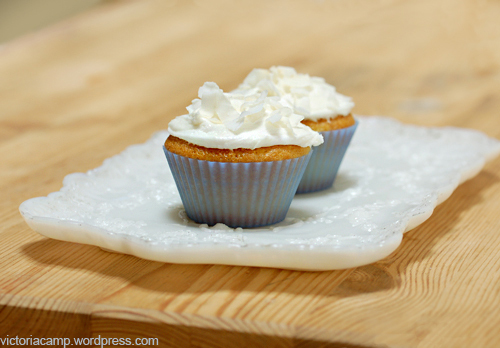 Here’s the basic vanilla cake recipe; it’s the same one that I used for the lemon curd stuffed cupcakes. I used a half batch of this recipe, and added about 1/4 C. more flour, 2 oz. melted chocolate chips plus 1/2 of a banana, mashed. I’ll add bold notes where I added both of those ingredients. * Reduce mixer speed to low and slowly add about half of the flour mixture. Add half of the milk, then the rest of the flour and the rest of the milk. Beat until just combined. (I added the melted chocolate right after this, and mixed it on low speed just until it looked blended.) Scrape down the side of the bowl. * Frost as desired when fully cool. 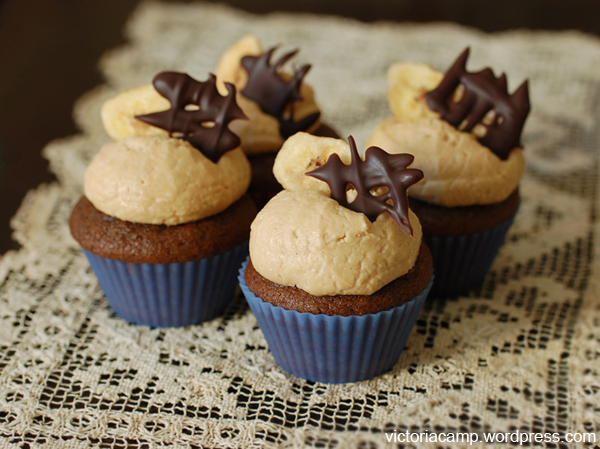 I made a peanut butter frosting for these. Honestly, I have a bad habit of not measuring out my frosting ingredients at all. I know I started with 2 TB softened butter and mixed it on high speed with about 1/2 C smooth peanut butter. Then I alternated adding powdered sugar and milk until it reached the fluffy consistency that I wanted. Eyeballing it, it was around 2 C powdered sugar and 1/4 C milk. But don’t go by my guidelines if you’re not experienced with making frostings and want a perfect recipe! While I was waiting for the cupcakes to cool, I melted a little bit of the chocolate chips and drizzled some of it with a spoon onto waxed paper (decorative shapes!) Since I don’t have one of those lovely perfect WIDE frosting tips, I just used a big piece of wrapped up parchment paper to make a piping bag to frost the cupcakes. The last step was to top each one with the chocolate shape and a banana chip. Ta-da! Tasty. By the way, while I was making these I found more coconut in the cupboard and a lime in my fridge.. and almost abandoned the whole thing to make vanilla coconut lime cupcakes. Oh well, there’s always next time! I’m going to go ahead and admit right now that I get cupcake cravings. Often. Maybe it’s the single-serve portion size, the frosting-to-cake ratio, or simply the fact that there’s so many varieties and decorating options, but I just love them! Then my brain starts thinking.. hmm.. lemon curd.. what’s in our cupboards that I can combine with this? Well, more lemon of course, and coconut! 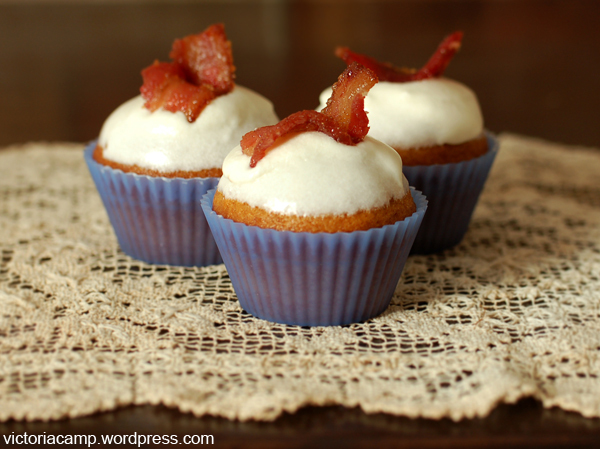 Perfect for a springtime cupcake recipe. Since there’s just two of us here, I only made a half batch of these. I still had a LOT of extra lemon curd, but not enough butter to frost more than a half dozen or so cupcakes. Like many, I’ve been on the hunt for the ideal vanilla cupcake recipe, and I think I may have found one that’s pretty close.. although I added lemon zest to the recipe, so I’ll have to make them again without the lemon at some point before I can really make a decision. The recipe used oil instead of butter, which I think might be the key to keeping them moist. 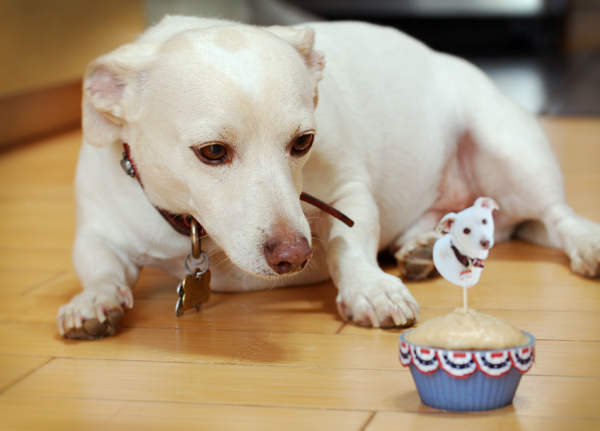 (Have you noticed how many white cake recipes are really dry?!) My favorite chocolate cake recipe – the Hershey’s Perfectly Chocolate Cake – also uses oil, so I think that might be the key! I’ve been using this recipe for years!..I can’t even begin to tell you the various uses for lemon curd.. For example, we’ve used it as a topping for pancakes (instead of syrup,) as a filling for stuffed braided bread, incorporated it into whipped cream frosting for a lemon whipped cream frosting, and now to fill cupcakes! 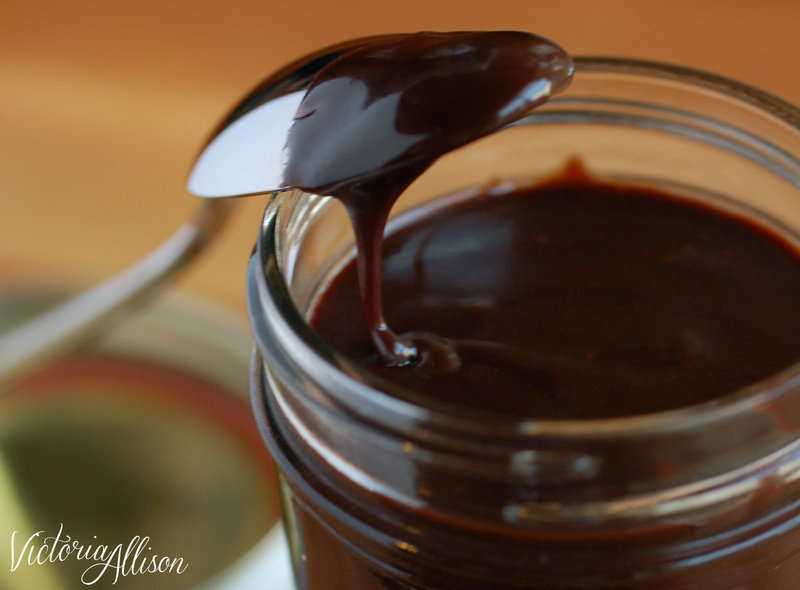 Don’t be afraid to make the full batch here, and use it for other recipes besides a cupcake filling. Last time I made it, I froze half of it to use later. For the frosting, I just used a basic ratio.. for every 1 cup of powdered sugar, I added: 1-TB softened unsalted butter, 1-TB milk, 1-tsp vanilla extract, and then mixed all ingredients together until smooth. Easy! There you have it, lemon cupcakes stuffed with lemon curd, topped with vanilla frosting and coconut flakes. My only regret is that we don’t have any left!